This is the kind of thing that really makes me angry. I know I’m not alone – anyone that hears about, much less comes into contact with low-life scam artists like this will naturally get angry. But because it’s a “home services” type of offering like the garage door services I offer here in Oro Valley that this bonehead used, I feel particularly offended. 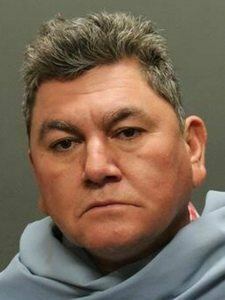 Authorities have made an arrest in a landscaping scam Tucson News Now first told you about earlier this month. As we reported on Thursday, April 6, the OVPD had been investigating reports of a scam from the Copper Creek neighborhood near Tangerine and La Canada, as well as several more in Pima County. Lt. Curtiss Hick said the OVPD received reports of a man going door to door offering to do yard work for an upfront price. Stephen Williams, one of the victims in the scam, said he paid the suspect $200 to clean up weeds but the man took the money and left before finishing the job. Susann Miller with the Better Business Bureau of Southern Arizona said home improvement scams were the number one scam in 2016. She said homeowners should get additional quotes on yard work and get it in writing. Clearly others have suffered worse than me, such as Stephen Williams mentioned in the article who is out $200. But still, when guys like me work our butts off doing good, honest work and offering a fair price, then some joker like this puts a big dose of extra heavy skepticism in our good communities… it’s just frustrating! Dude – just do the work you’re getting paid for, earn an honest dollar and everyone will be better off! And we won’t need to tax our legal system, which will hopefully work well and make you pay your price for these actions to our neighbors. Speaking of the legal system and the police department, we had some sad news the other day. While I didn’t know Mr. Wolff personally, I did hear from some people who have been in Oro Valley longer than me who had nothing but good things to say about the man. You served honorably, Mr. Wolff. You’ll be missed. Werner S. Wolff, who served as the Oro Valley police chief for nearly 17 years and on the Oro Valley Town Council for four years after that, died Saturday. Wolff was hired as the police chief in January 1983 after serving 21 years with the Tucson Police Department, including 15 years in narcotics, according to Star archives. When he joined, the Oro Valley department had four patrol officers and no investigators. It was headquartered in a former four-bedroom house at 680 W. Calle Concordia. Wolff retired from the department that year and was elected to the Oro Valley Town Council in May of 2000, where he served until 2004. He was vice mayor on the council from 2003 to 2004. 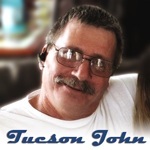 Some frustrating news that ends well (they got the guy), and some sad news about the end of one of our great friends and neighbors here in Oro Valley. I didn’t intend to post a ‘downer’ today, but keeping the community informed of important things, good and bad, is important.